So you've got a big wad of dough, but cash is so early 2000s. It's all about digital currency, NFC, and other fancy digital stuff. You could swing by the bank to deposit the cash... or you can dump it right into your PayPal using PayPal Cash. That process just got easier with the addition of 7-Eleven to the list of supported retailers in the latest app update. PayPal Cash lets you turn your physical cash into PayPal money without the added hop from your bank to your PayPal balance. You can probably guess how this works, but here's the gist anyway. You go to your local CVS, Rite Aid, or (now) 7-Eleven. Using the PayPal app, you can generate a barcode that the cashier scans, then you hand over the cash. The money is credited to your PayPal account, and you're done. You can only deposit $500 per day and $4,000 per month with PayPal Cash, and there's a $3.95 fee for the service each time you use it. It's not really worth the cost if you're going to deposit small amounts. If you do have a wad of cash to get into PayPal, make sure you've got the new version of the app. 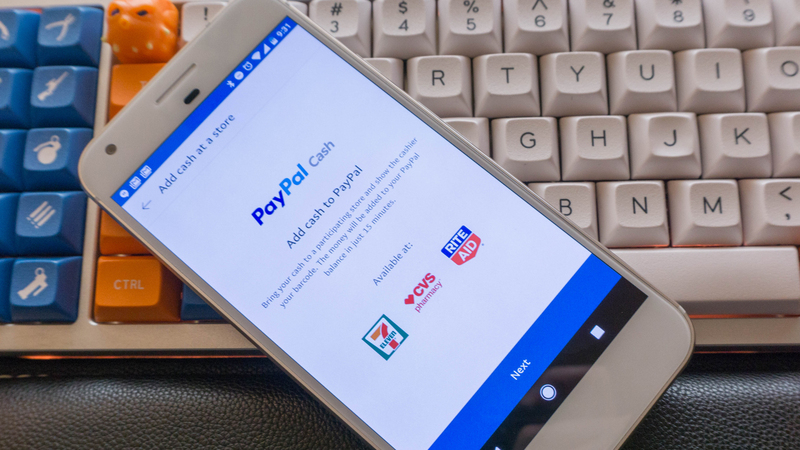 It started rolling out yesterday and includes 7-Eleven as an option for PayPal Cash. You can print the barcodes at home, but the app is easier.